Faleeha Hassan helped tutors know how it feels to be a new immigrant and not understand the language at our Tutor Support Workshop in October. October has been a busy month with lots of fun events and new tutors joining our program. We saw a great turnout for the our first Coffee with Friends and the afternoon was filled with happy students sharing their progress and tutors smiling with pride. Thank you everyone who attended. The Annual Awards Ceremony is always an incredibly moving night and this year was no different. 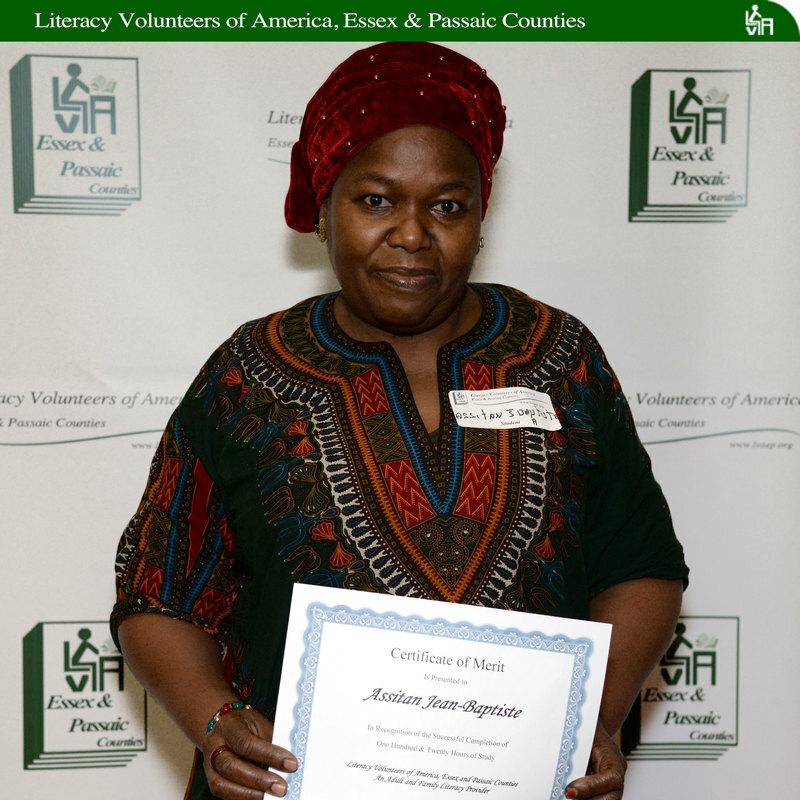 Students and tutors work tirelessly to master literacy and we love to honor their commitment at our yearly event. 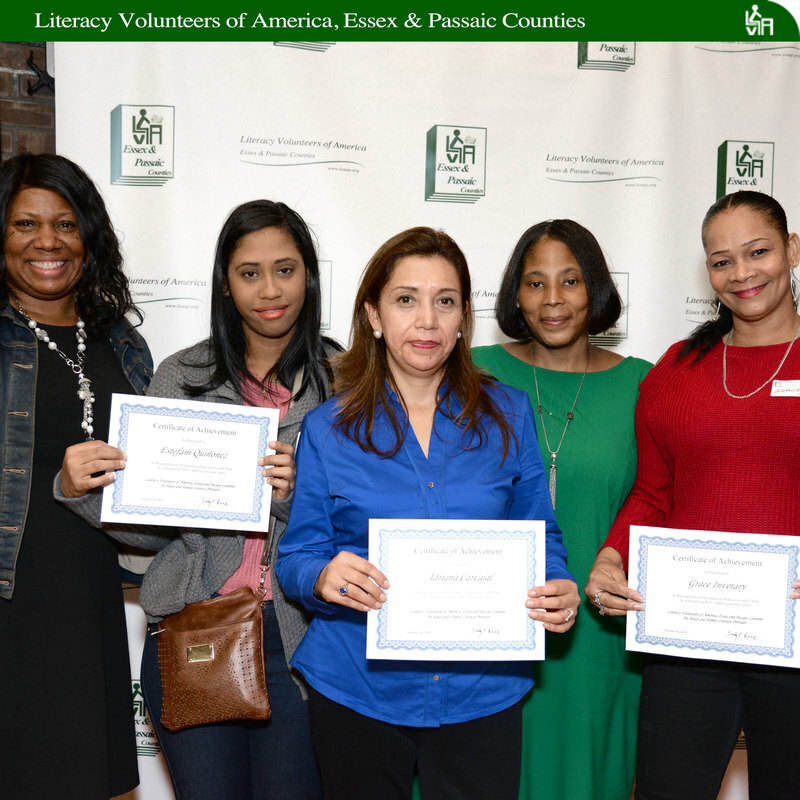 LVA EP Annual Award Ceremony continued its successful run with a full house of students and tutors on October 16, 2018 at the East Orange Public Library. 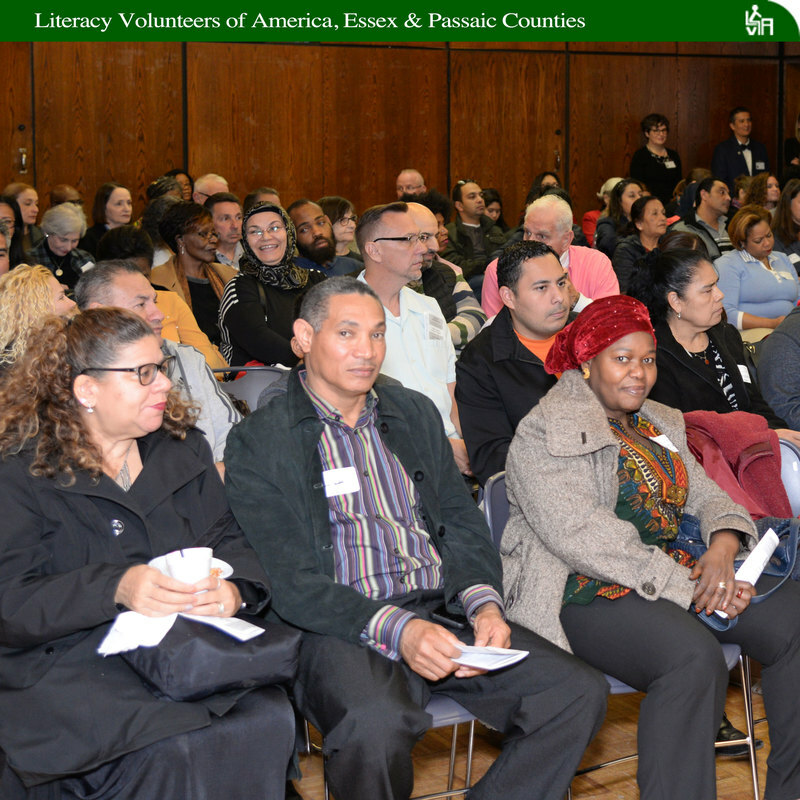 Families and friends turned out to support the hard work of the students and tutors honored that night. Every last cookie was eaten and certificates were awarded during this fun evening and pictures of the event are in this issue of the Insider. The Students of the Year, Edilma and Gurpreet are great examples of what our students can accomplish with study and commitment to LVA. We ask a lot of our students because we know what is possible. 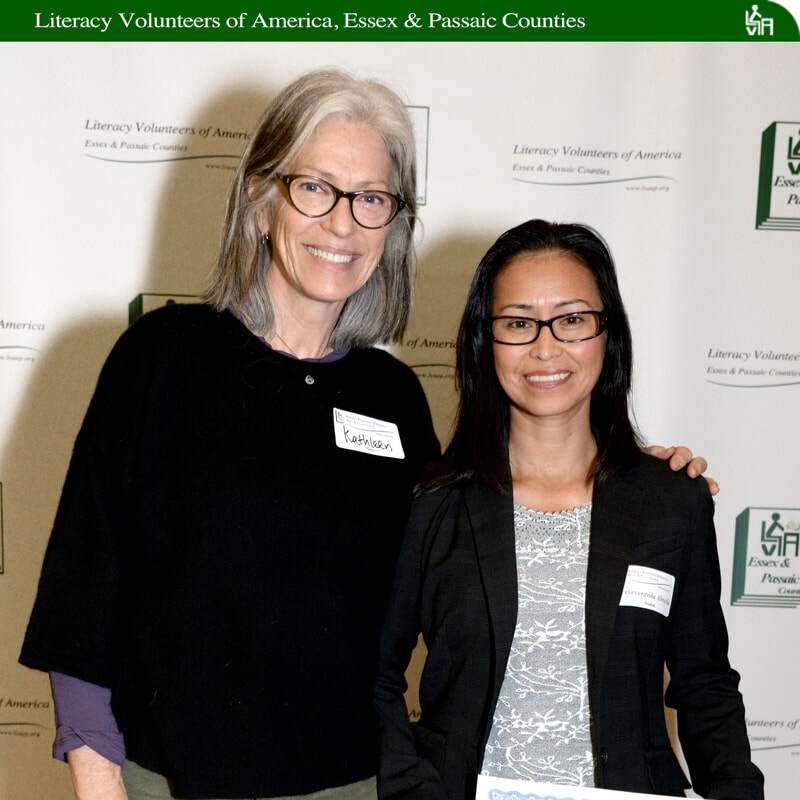 Our Tutors of the Year, Robin Furrey and Belitza Lopez have found ways to reach their students and help them thrive. 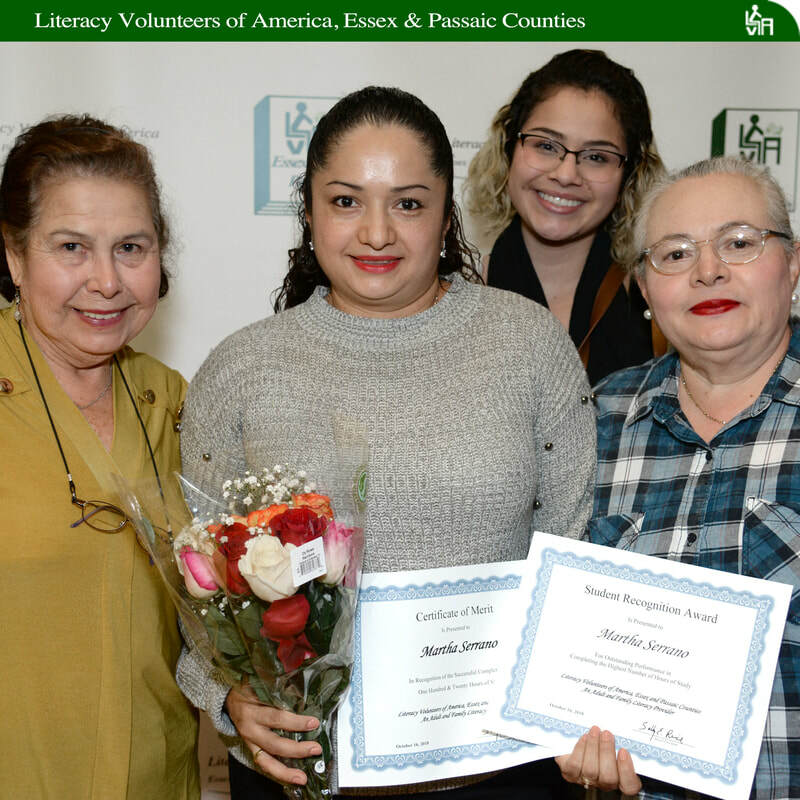 In this issue of The Insider you’ll also meet student Betty who persevered on her circuitous path to LVA and is now reading with her daughters. Tutor Dean Garcia remembers a few yawns when he first taught his students, but now some are graduating from the program. There’s a really interesting story about how immigrants eat changes very diversity in their gut, check out the story below. A busy working mom with two young children Betty was frustrated because she couldn’t speak English. 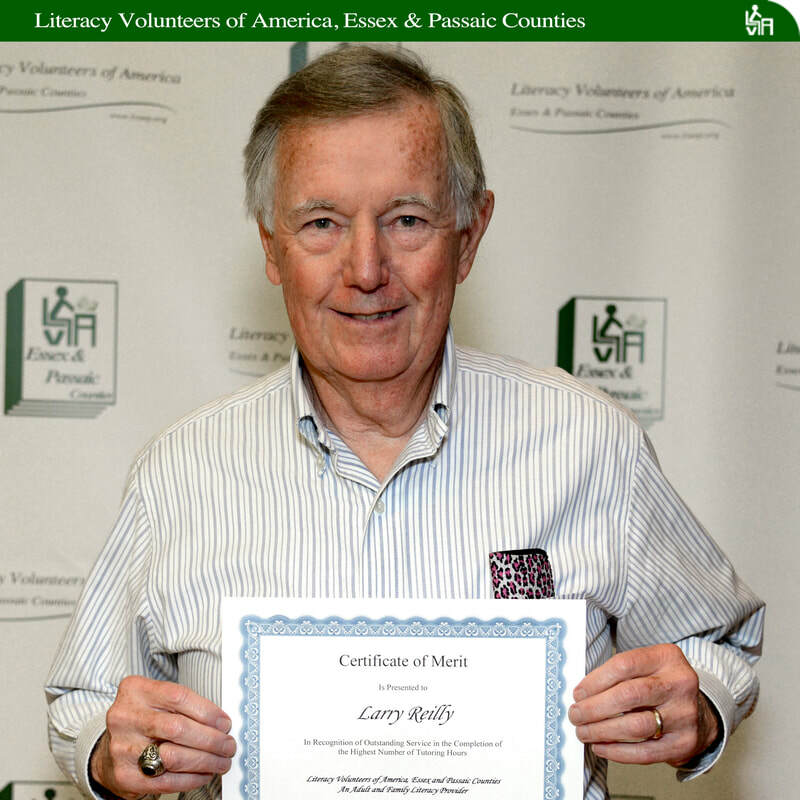 “I came to LVA to learn more English, specially to improve my speaking." Like many a doting mother, Betty’s priorities have always been the well-being of her family. 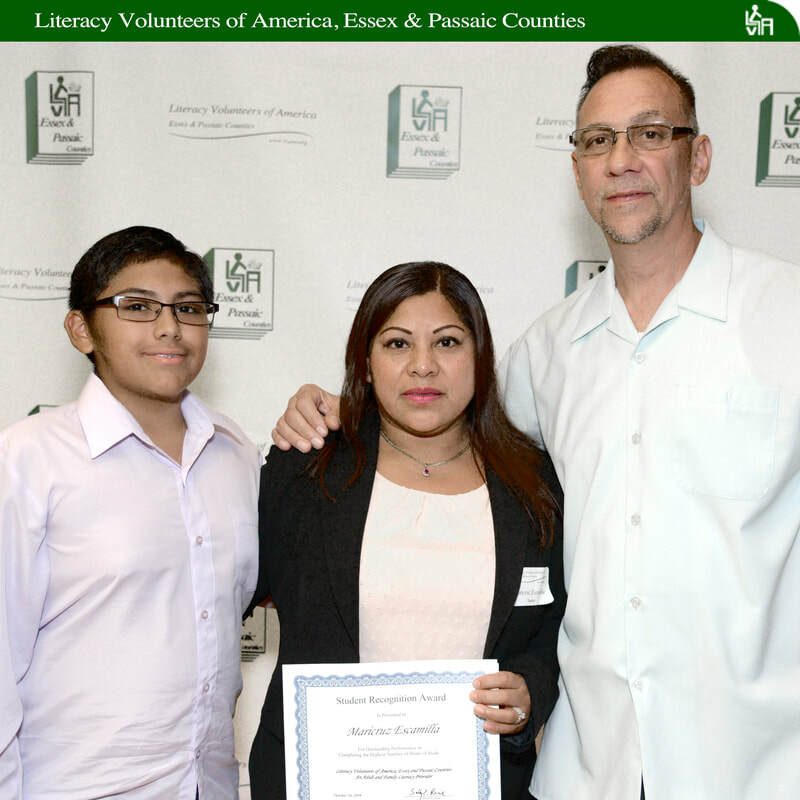 And, like many an immigrant mom, she found that spending time with her children and working to help her husband support them, left little time to learn English. But, Betty never stopped trying. 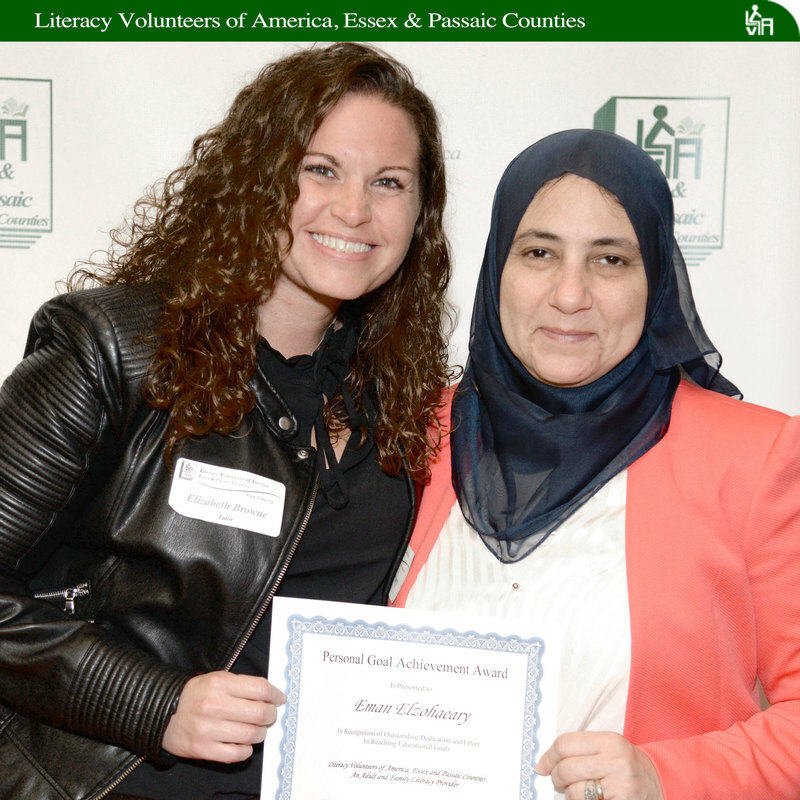 Eventually she found herself at the Literacy Volunteers of America, Essex & Passaic Counties office in 2016 and today has a job in the school system that allows her to both help support her family and spend time with her children after school. 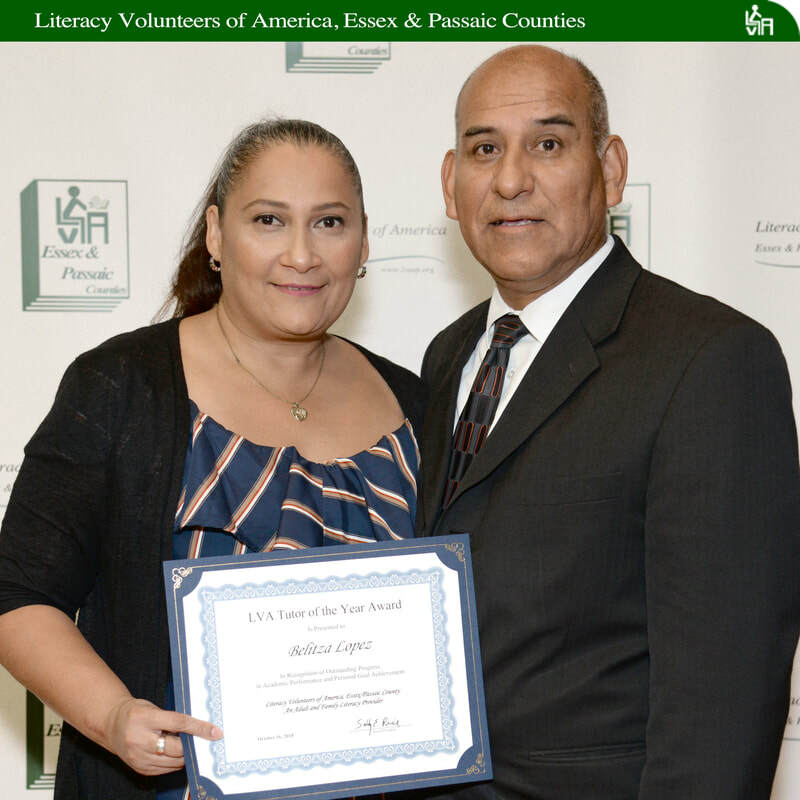 Betty, a Peruvian native, met Jorge Chavez, LVA’s Data Processing Coordinator since 2014, at a social event in 2004 when she first came to the United States. Both being from Lima, they had more than language in common. Jorge was friends with Betty’s husband. 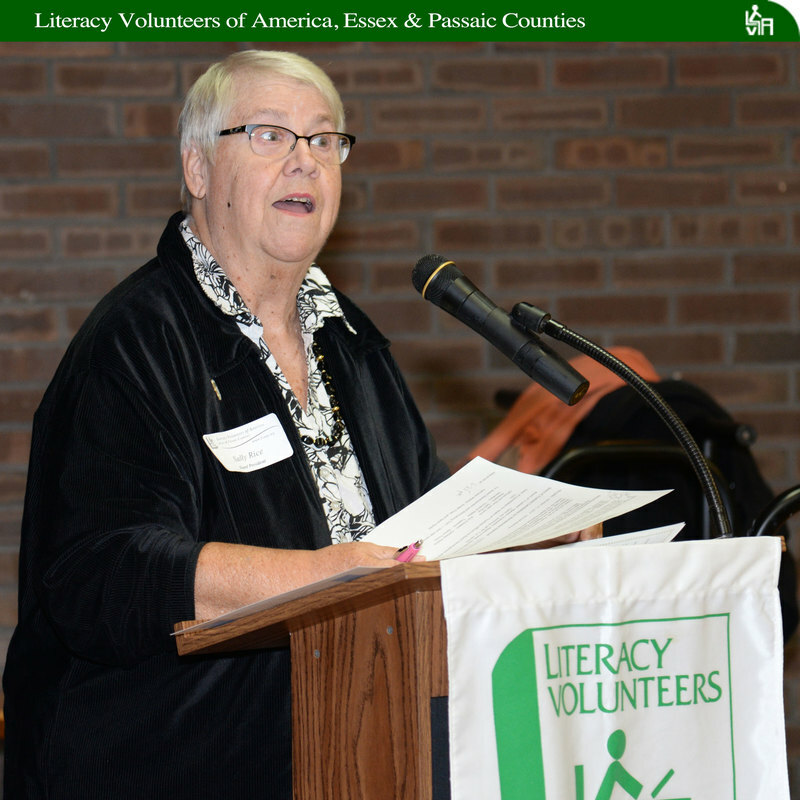 Fast forward to 2016 when Betty walked into the LVA office at the Bloomfield Library. Who was the first person to greet her? Jorge Chavez. He asked, “How did you get here?” “My husband brought me. I felt frustrated because I couldn’t do the things I used to do. I know I had a lot of knowledge and skills I could use in Peru and could not do here because I could not speak English. 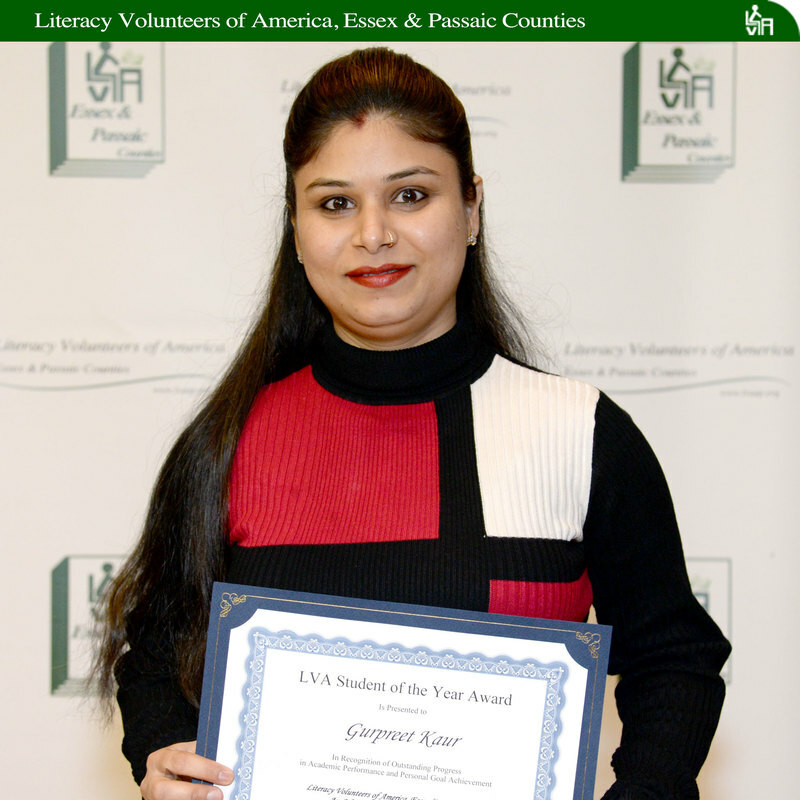 I came to LVA to learn more English, especially to improve my speaking,” she said. And, that she did. 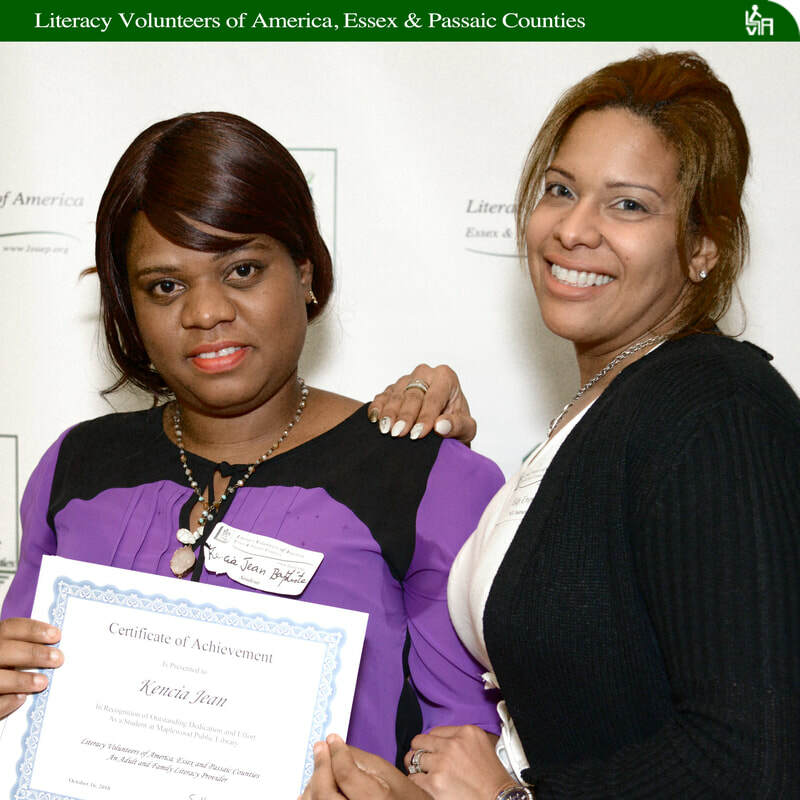 After two years of study with her tutors and also taking classes at Berkeley College, one of LVA’s satellite programs, Betty will soon be testing out of the LVA program. This mother of two young ladies has worked hard. She practiced English when her children were asleep. Now that their daughters are school age, they practice English with her. Instead of returning to her 10-year career in accounting, Betty is now working as a substitute teacher and has the same schedule as her daughters. “They need me now,” she said. Bodies that migrate across borders undergo tremendous change. Immediately, feet alight on alien terrain, ears channel novel sounds and noses breathe in unfamiliar scents. More gradually, daily routines fall into new rhythms, cultural norms hybridize and dreams evolve. Another transformation occurs deep within the body, two recent studies from the Netherlands and United States find, as the trillions of microbes that live in the human digestive system shift in composition. While many factors may influence how this change occurs, the studies suggest that scientists should consider individuals’ migration status and ethnic origin as they aim for clinical interventions based on the gut microbiome. Researchers are trying to understand what governs gut microbial composition, in part because of increasing evidence that the trillions of microorganisms teeming in our guts influence health in myriad ways. Most chronic diseases have been tied to deviations in gut microbiome, though the specifics of cause and effect still need to be parsed out. The first study, published in Nature Medicine in August, compared the gut microbiomes of adults from Amsterdam’s six largest ethnic groups. 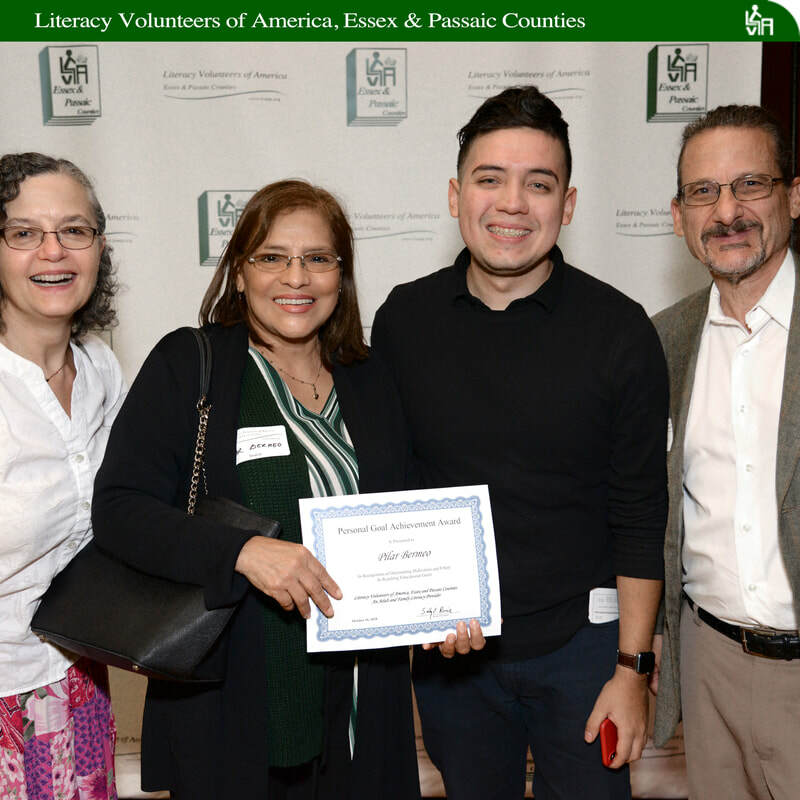 While LVA tutor Dean Garcia likes to consider himself a behind the scenes guy, his results are front and center with his students at LVA, Essex & Passaic Counties. 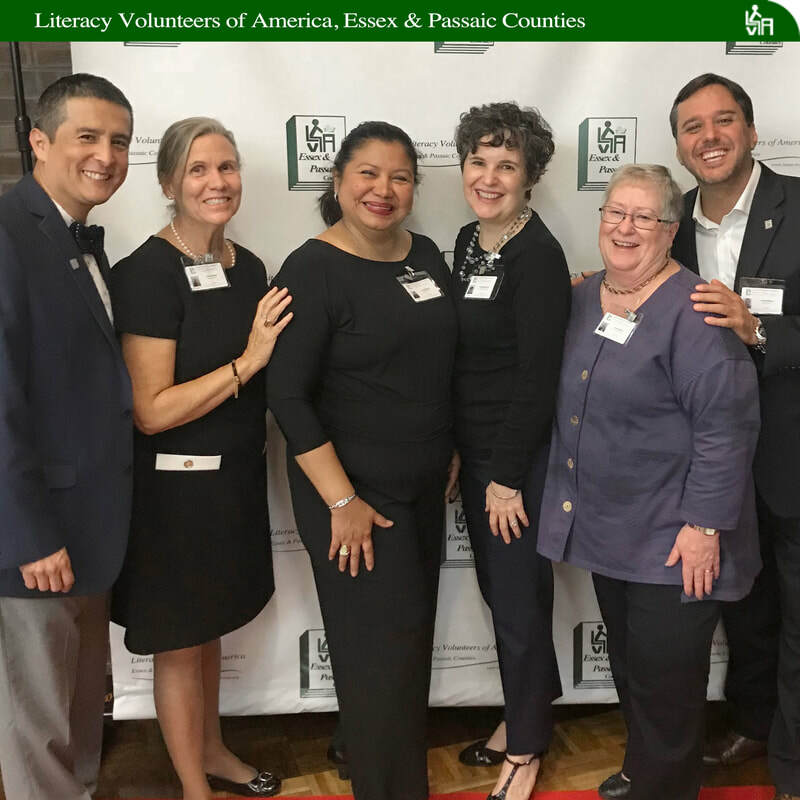 And keeping everything going behind the scenes is exactly what Dean does with his Literacy Volunteers of America, Essex & Passaic Counties students. Dean has only been a tutor a little over one year and what an impact he has made in that short time. Dean tutors a group of five women from various backgrounds who come together every Tuesday night with one common goal: to improve their English. 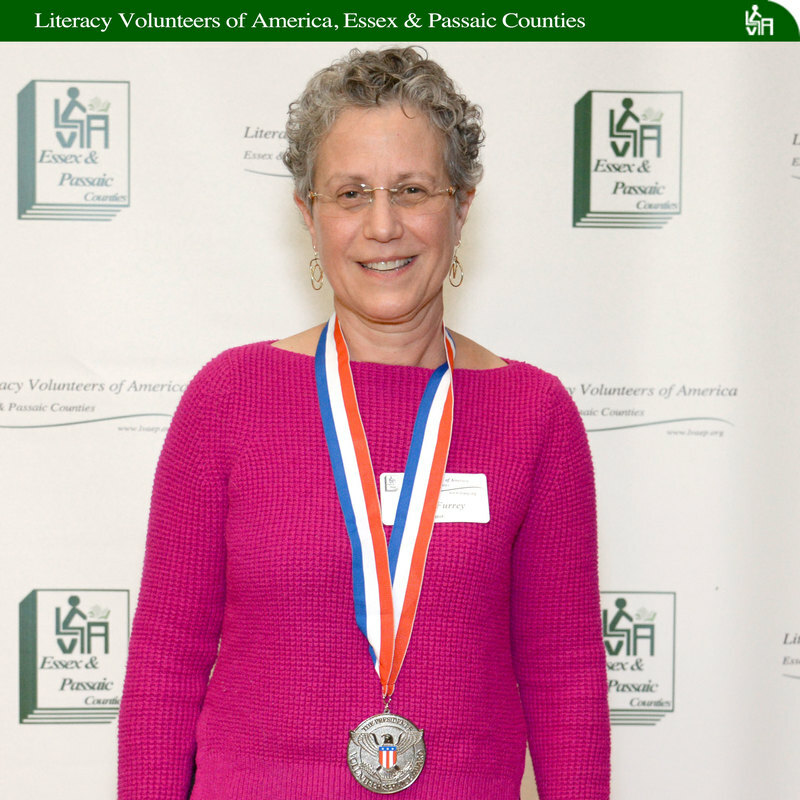 Prior to coming to LVA, Dean graduated from U Penn with a degree in sociology. Over a decade later, he was able to put what he referred to as ‘soft skills’ to work. 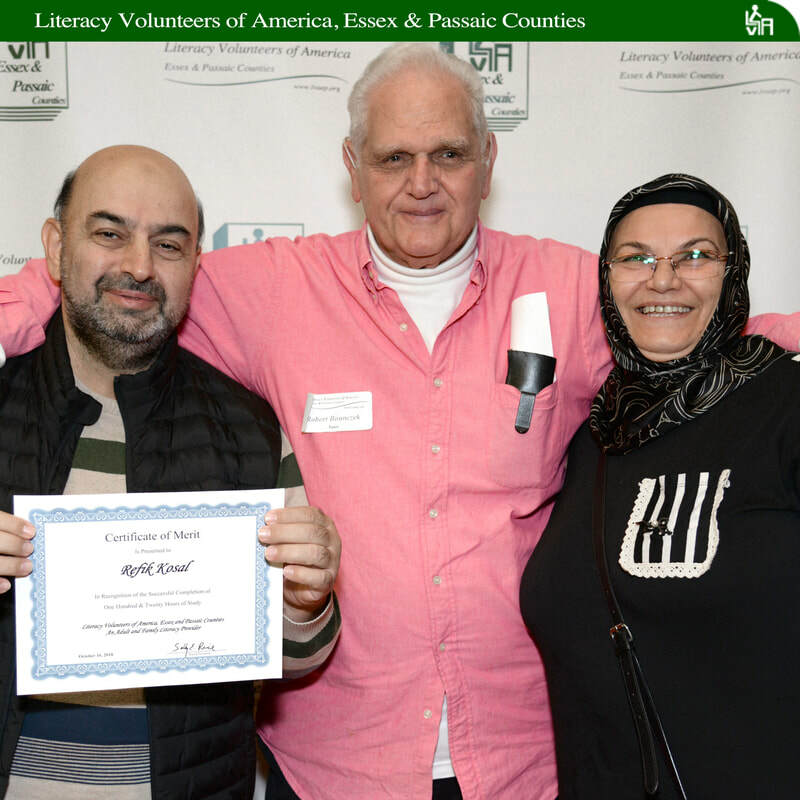 At our Annual Awards Ceremony at the East Orange Public Library last month, students, tutors, instructors, and teachers were recognized for the time they’d devoted to their sessions and for their personal goals and achievements. 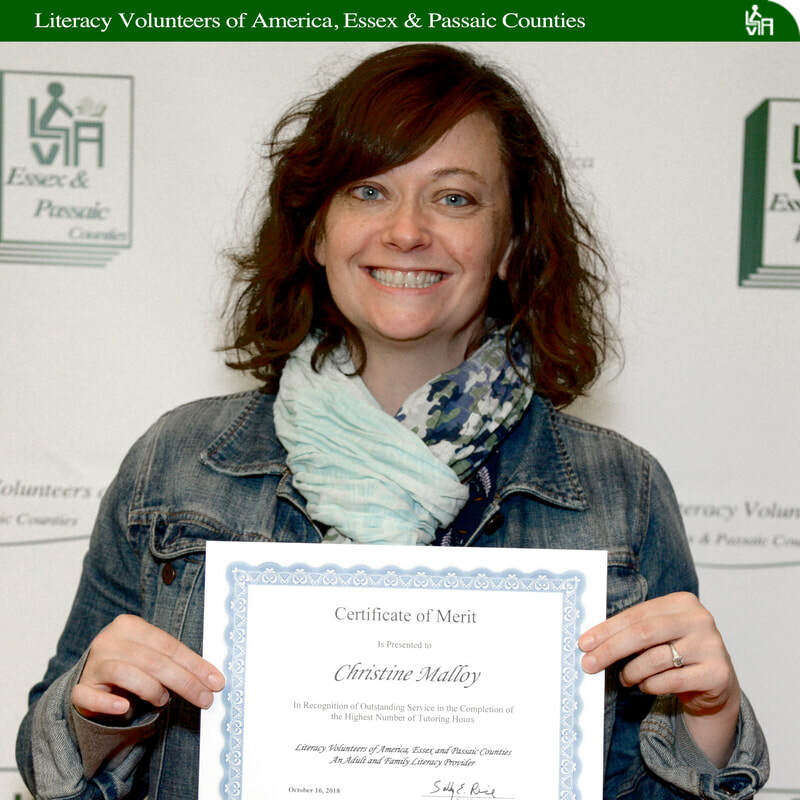 Award winners came from programs and libraries in both counties, including programs with our partners at, Sussex Educational Foundation & Berkeley College, and the NCC-Adult Learning Center. One student is learning English with the help of a new magnifier that enables her to see text with her visual impairment, all because of her tutor who helped her secured it. Tutoring offers so much more than a language exchange for both to tutors and students. 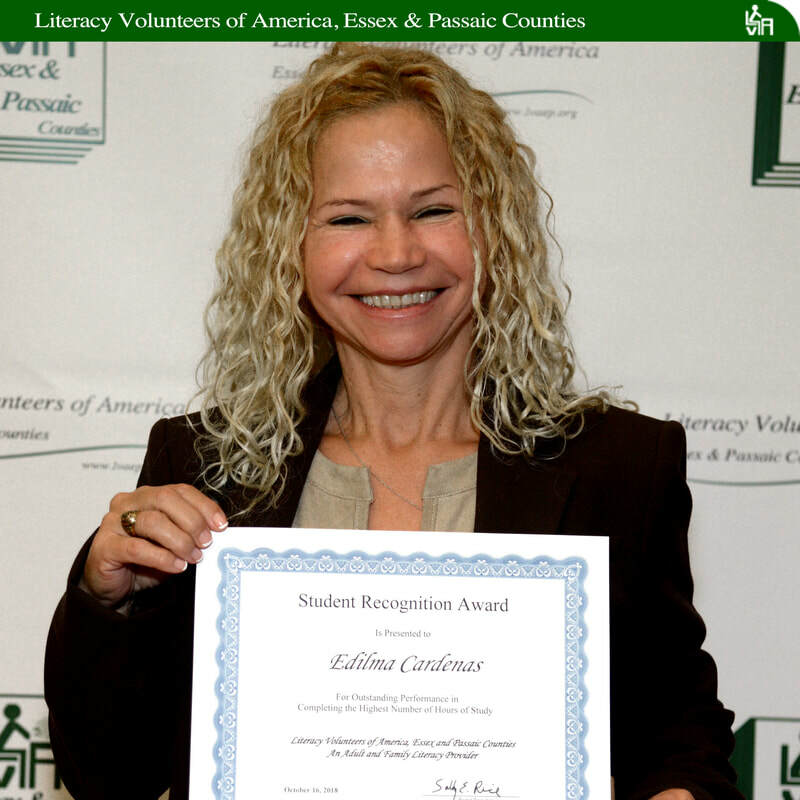 Congratulations to all of our students, tutors, instructors, teachers, and affiliate organizations!